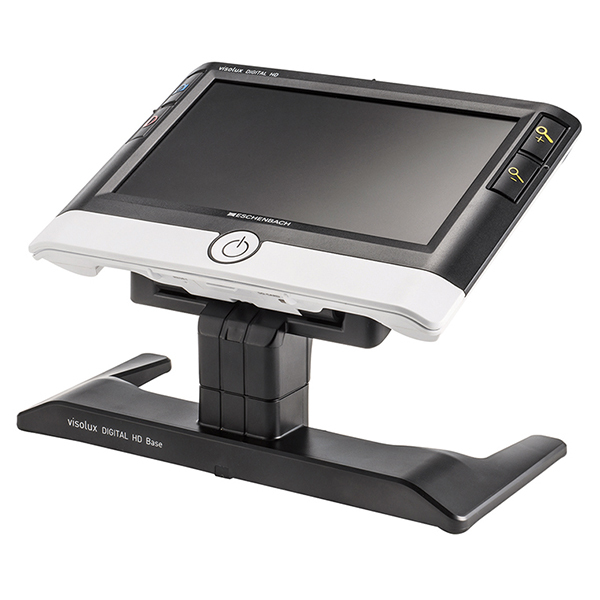 The Visolux Digital HD Base is an optional accessory for the Visolux Digital HD hand-held video magnifier. It increases the distance away from the image area so that writing underneath the device is easier. The base easily attaches to the bottom of the video magnifier and can be removed at any time. Visolux Digital HD is not included.